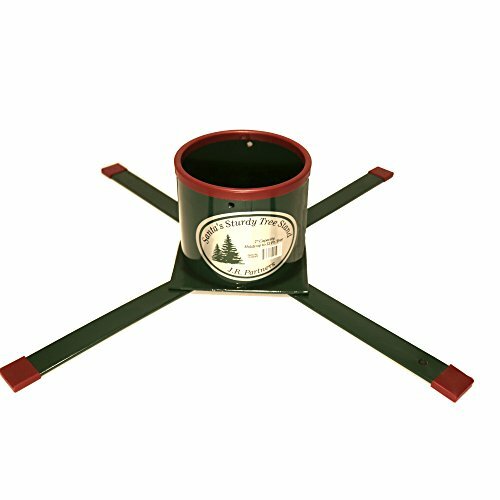 This is the an incredibly sturdy and strong tree stand which is made of 1/4 steel, the legs are solidly welded into place ensuring a steady support of Christmas Trees. Accommodates trees up to 12 foot tall and will fit trees with a trunk diameter of up to 7 inches. Has 4 solidly welded legs, one in each corner evenly distributing the weight of the tree for extra support of tall trees, these fixed legs give confidence of support and can never be displaced. Comes with large 4 large screws, with wide bolt eyes allowing you to easily secure many various sizes of trees into the stand, also allows different variations of trunk sizes and shapes. Simply screw each one tight. Large water reservoir up for longer periods between watering your tree, this tree already come assembled. If you have any questions about this product by Jr Partners, contact us by completing and submitting the form below. If you are looking for a specif part number, please include it with your message.